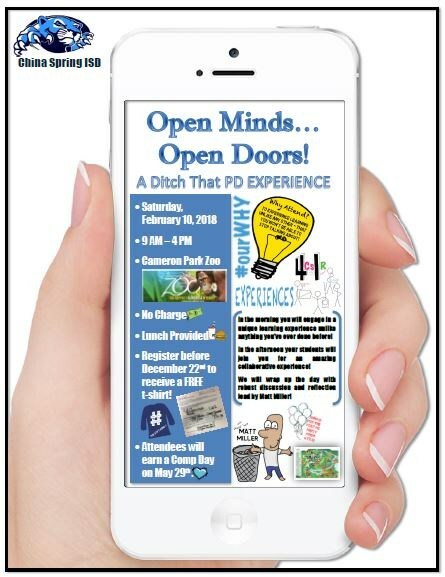 A Ditch That PD Experience with Matt Miller on Saturday, February 10th from 9 am to 4 pm at the Cameron Park Zoo. WHY Attend? To experience learning unlike any other – that you won’t be able to stop talking about!